Although it is often dismissed as a comedy moment, an amusing episode in the history of flight, ballooning had a profound effect on the epistemological model of being in the world and viewing landscape. That balloons are innately comic is undeniable, and their physical attributes were a gift to satirists of the late eighteenth century, who riffed delightedly on the graphic and semantic associations of this new and somewhat unlikely technology. Furthermore, in the first few decades of ballooning, its utility was unclear. Although flight had been achieved, the power to navigate had not, so balloons could not be used as aerial transport. Once airborne, balloonists were dependent on the mysteries of the upper air and its currents to carry them along. In this captive state, aeronauts set about conducting experiments with a full array of scientific instruments, their own senses and perception being among these. Tasting ginger to see if it was as spicy, or undertaking a complex mathematical equation to test mental acuity at altitude, went alongside checking height and air pressure. …many, if not the greatest number of the aerial voyages, though said to be purposely made for the improvement of science, were performed by persons absolutely incapable of accomplishing this purpose; and who, in reality, had either pecuniary profit alone in view, or were stimulated to go up with a balloon, for the sake of the prospect, and the vanity of adding their names to the list of aerial adventurers…. 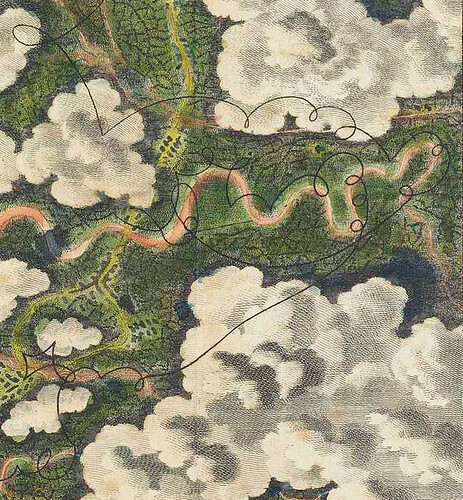 The late-18th Century version of Stewart’s impulse: “‘For the Sake of the Prospect’: Experiencing the World from Above in the Late 18th Century. As we jettison the sandbags, we might send high-flying birthday greetings to Amelia Earhart; she was born on this ate in 1897. An aviation pioneer and author, she was the fist female to fly solo across the Atlantic (a distinction for which she received the U.S. Distinguished Flying Cross). 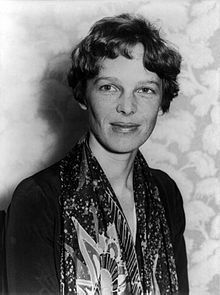 Earhart set many other records, wrote best-selling books about her flying experiences and was instrumental in the formation of The Ninety-Nines, an organization for female pilots. She joined the faculty of the Purdue University aviation department in 1935 as a visiting faculty member to counsel women on careers and help inspire others with her love for aviation, and was a member of the National Woman’s Party, and an early supporter of the Equal Rights Amendment. During an attempt to make a circumnavigational flight of the globe in 1937 in a Purdue-funded Lockheed Model 10 Electra, Earhart disappeared over the central Pacific Ocean. Fascination with her life, career, and disappearance continues to this day.